Amidst the breathtaking scenery of the Finger Lakes sits Ithaca, N.Y. A college town engrained with a grassroots approach, this city is also home to record label Blank Slate. Kamal Naeem, the label’s founder, is an Ithaca native and a graduate of Ithaca College. “I spent nearly 20 years in Ithaca. It’s where I grew up and where my family is. And though it doesn’t have a tradition of electronic music (besides Robert Moog developing his synth up the road), it’s safe to say it was responsible for providing a variety of very strong musical experiences,” he says. Often joked to be “centrally isolated” Ithaca is actually 4-6 hours by car to a major city which Naeem says influences the area with an array of world-class music. “There was always a steady stream of jazz,” he says, seeing the likes of Pharoah Sanders, Joshua Redman and the Mingus Big Band, all at local venues. Additionally, Cornell University’s South Asian community hosts classical Indian concerts, from acts like Zakir Hussain and Hariprasad Chaurasia. Local music festival Grassroots has been taking place in Ithaca since 1991 bringing a gamut of global artists. With Ithaca College’s music school there is no lack of talent in the rural city. He continues, “Though Ithacans might not be familiar with electronic music as a concept, we never had to fight for the music to be considered important or a worthy use of our time. And folks were more or less supportive when we started going in the electronic direction. Now Ithaca is slowly developing a tradition of electronic music.” To his knowledge he says there are four labels with ties to Ithaca. Soren went to school at Cornell and while living in the same city he and John Barera wrote the first couple EPs on Supply. Also a native to Ithaca is Mirko Azis who was involved in the Detour Crew while attending Carnegie Mellon in Pittsburgh, Penn. Phil Chung and Tahj (Turtle Bugg) Morris, owners of Basement Floor Records, would throw parties along with Naeem during his years at college. Naeem began development for Blank Slate “out of the desire to contribute to a music scene beyond isolated Ithaca. I had recently returned from my first trip to Berlin, and even in a city where so many people love electronic music, I was surprised to discover I was a fully fledged music nerd there as well.” Solely run by Naeem the label originally was developed with the efforts of Soren Jahan (René Audiard). On the visual side Mathea Millman is the art director for nearly all the label’s B-side art. Azis and Mike Lavigne contributed with design, as well as Max Hull who lent his graceful handwriting for the logo. While the label was in the early stages Naeem spent a majority of 2013 studying in Berlin. He used this time to network and really explore deeper into club culture. “I’d never really been clubbing (I was too young to go out in the U.S.), and it was amazing to be in this seemingly huge city with so much music happening all the time. I came back to Ithaca to complete school and save some money.” Blank Slate began to pick up and he officially relocated to Berlin in January 2015 with hopes of continuing forward as an artist and label head. It was a tougher transition than expected, he says. “Though Berlin has so many musical opportunities, working here can be quite the challenge. My initial plan was to try and work in the music industry. I found this quite challenging, as the music industry here has a very loose relationship with anything resembling professionalism and there are so many eager young people that businesses often take advantage of this. You’d be surprised at the number of big name businesses here which operate on a steady flow of recyclable interns.” Currently he is working in online marketing for a Berlin startup. On a music level Naeem has noticed that Berlin is overwhelmingly populated with electronic music and there can be little wiggle room for other genres. Within the U.S. he says “there are so few things going on that keeping an open mind and going to a concert or show you might not like is often how people expand their horizons. Berlin has such a huge electronic music scene that people’s interests often remain very narrow. Folks seem very comfortable going to the same parties and shows over and over again, and not really broadening their horizons.” With an incredibly diverse background in music, he recognizes that on a technical and cultural level music should be open to variation. With reflections on the Berlin music scene aside he recognizes that Blank Slate being based in Germany is ideal for his releases. It is ripe with networking and access to artists who live and perform locally. “Meeting artists who are much more experienced and knowledgeable has certainly helped me in the running of the label,” he says. He studied politics at Ithaca College but has yet to pursue anything in that direction but says time will tell if he decides to enter the world of academia. “A close family friend told me that one’s early 20s were ‘a perfect time to make mistakes.’ I’m currently putting music first in my life, so we’ll see how that goes,” he says. 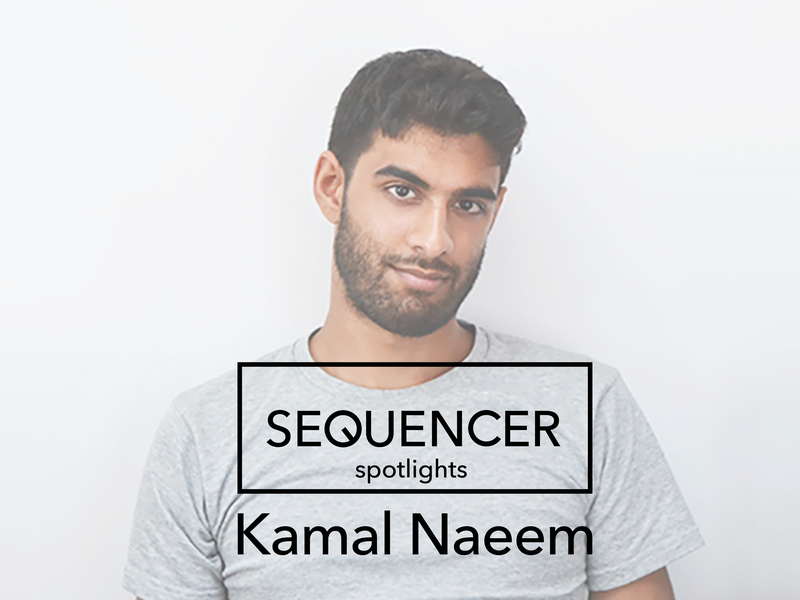 Catch Kamal Naeem and Israel Vines this Saturday, Jan. 7 for his Buffalo debut for the Sequencer/Redux party.